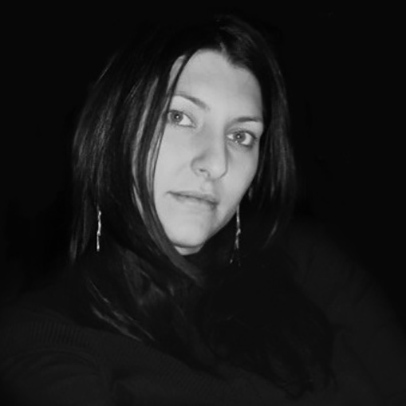 Athina is a Lecturer in Marketing and Consumer Behaviour and a Fellow of the Higher Education Academy. She joined Middlesex University in January 2015. In 2014, she was awarded her PhD in Marketing from Cranfield School of Management (UK). Her thesis investigated the reasons that drive consumers to acquire music from various channels - both legal and illegal - adding new perspectives to the issue of music piracy and offering important implications for marketers and policy makers. Before joining academia, Athina worked in music retailing in Greece and in music publishing in the UK. 2016 Postgraduate Certificate in Higher Education in Teaching and Supporting Learning, Middlesex University, UK. 2014 Doctoral (Ph.D.) Degree in Marketing, Cranfield School of Management, Cranfield University, UK. (Thesis title: "Explaining Consumers' Music Preferences in a Multi-channel Framework: The Case of Music Piracy"). 2007 MSc Degree in Arts Management, City University, London, UK. 2006 BSc Degree in Economics (Major: Business Administration), Aristotle University of Thessaloniki, Greece. Athina is the Programme Leader of the Msc in Strategic Marketing. She also teaches marketing and cosnumer behaviour at both undergraduate and postgraduate level. She is passionate about developing her students into the new marketrs of the future and wants to inspire them to be self-reflective and pursue values like social justice and sustainability. Athina also supervises part-time and full-time student research dissertation projects. The projects deploy theory and research to investigate practical issues. Her supervision interests include topics related to consumer behaviour and more specifically to illegal consumption, music and art consumption, destination choice, attitudes and intentions, and consumer behaviour models. Athina is interested in receiving PhD applications from prospective research students within the domain of her research interests. Athina's research interests lie in the area of consumer consumption with particular interest in the psychological factors that influence morally dubious and illegal situations (piracy, fair trade, sustainable consumption) in the areas of retailing, music, media, entertainment, art, food and wine. Her research is driven by both academic rigour and relevance to practice. Her publications have appeared in the Psychology & Marketing and the Journal of Retailing and Consumer Services as well as in various international conferences like the British Academy of Management, the Academy of Marketing, the European Marketing Academy and the American Marketing Association. “Expressions of levels of place in the branding of wine: an exploratory study” (K. Dinnie, A. Dilmperi), 1st International Conference on Wine Studies in the Humanities and Social Sciences, London, May 2016. “An investigation of how viral marketing affects the intention to visit a place” (A. Dilmperi, T.C. Melewar), 5th International Colloquium on Place Brand Management (ICPBM), Valle D'Aosta, the 2ndSeptember 2015. “Consumers’ music acquisition from legal and illegal channels: The effects of moderators” (A. Dilmperi, T. King and C. Dennis) AMA SERVSIG International Service Research Conference Thessaloniki, 13-15 June 2014. “Consumers Intention to Purchase Greek Bottled Wine” (A. Dilmperi and M. Hingley) XXI European Association of Wine Economists Conference, Lyon, 4-7 June 2014. “An Extended Theory of Planned Behaviour for Music Acquisition from Legal and Illegal Channels: Conceptualisation and Scale Development” (A. Dilmperi, T. King and C. Dennis) British Academy of Management Annual Conference, Liverpool 10-12 September 2013. “A Theoretical Model for Testing Music Piracy in a Multi-channel Environment” (A. Dilmperi and T. King) British Academy of Management Annual Conference, Cardiff 11 – 13 September 2012. “Buying Habits for Alcoholic Drinks: A Greek Market Research” (D. Asteriou, C. Siriopoulos and A. Dilmperi) XIX European Association of Wine Economists Conference, Coimbra May 30 – June 2, 2012. “Consumers’ Music Piracy in a Multi-channel Environment” (A. Dilmperi and T. King) Academy of Marketing Conference, Southampton 02 – 05 July 2012. “The Determinants of Music Consumption: Physical vs. Digital” (A. Dilmperi and T. King) 17th International Conference on Recent Advances in Retailing and Services Science, Istanbul 02 – 04 July 2010. “An Econometric Examination of the Determinants of Wine Consumption in Greece” (A. Dilmperi and D. Asteriou) XVII European Association of Wine Economists Conference, Palermo 9-12 June, 2010. Athina is a member of the British Academy of Management and of the Academy of Marketing. She is also an ad-hoc referee for international publications such as the European Journal of Marketing, the Journal of Service Theory and Practice and Journal of Marketing Communications.